The British Army (BA) carried out early morning raids across Northern Ireland and arrested 48 people. The leader of the delegation from the International Committee of the Red Cross announced that the situation with regard to the hunger strike was deadlocked and in such circumstances they had no role to play. The ‘Northern Ireland Act 1982‘, which established the rules for the proposed Assembly, became law. The Irish Republican Army (IRA) ‘mistakenly’ killed a married couple and their six-year old son in a bomb attack at Killeen, County Armagh. A report in The Times (a London based newspaper) detailed further disagreements between some of the Northern Ireland parties over the proposed political talks. 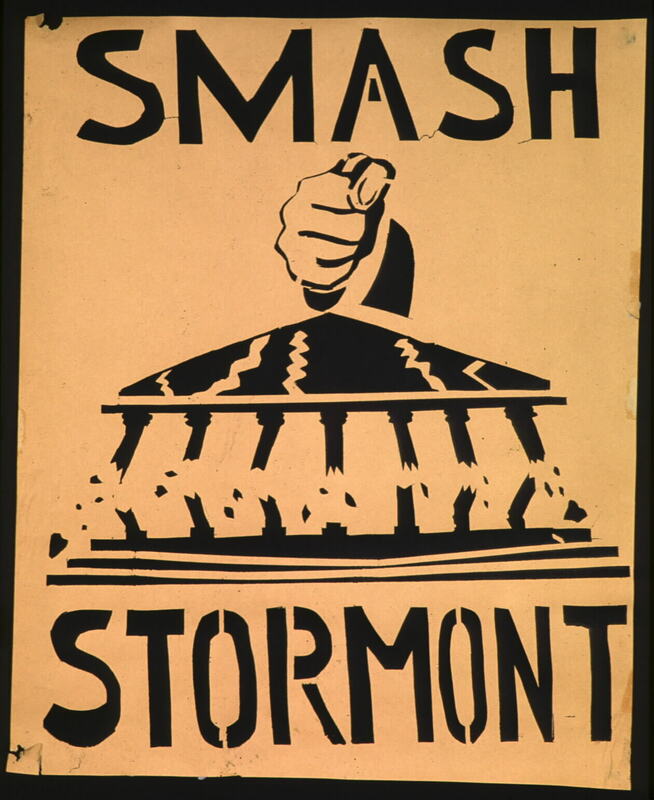 Whilst Unionists declared that they would only enter negotiations with the Irish government as part of a United Kingdom delegation, the Social Democratic and Labour Party (SDLP) outlined their opposition to any use of the term ‘United Kingdom’ and as an alternative argued for the use of ‘Britain’ and ‘Ireland’. Following a reshuffle of ministerial posts at the Northern Ireland Office (NIO) Peter Bottomley was dropped. A White Paper, outlining plans for changes to British Defence policy, was published. The plans included the news that the Royal Irish Rangers (RIR) and the Ulster Defence Regiment (UDR) would merge to form a new regiment to be called the Royal Irish Regiment (RIR). [The British government denied Unionist claims of political interference in the decision. The UDR had been the subject of sustained criticism by Nationalists since the regiment was first formed. In particular it was claimed that there was collusion between members of the UDR and Loyalist paramilitary groups. A British Army spokesperson said that while the UDR was 96 per cent Protestant the RIR was 30 per cent Catholic and many of its members were drawn from the Republic of Ireland. John Major, then British Prime Minister, told the House of Commons that there was no truth in the rumour that he had entered into a deal with the Ulster Unionist Party (UUP) in return for support during the debate on the ‘Social Chapter’ of the Maastricht Treaty. A document containing proposals on decommissioning that had been prepared by the British and Irish governments was rejected by the Ulster Unionist Party (UUP) during a meeting at Stormont. Despite this outcome the two governments insisted that substantive negotiations would begin at Stormont on 15 September 1997. In the European Parliament, MEPs from many countries supported a call for the release of files related to the Dublin and Monaghan bombings in the Republic of Ireland on 17 May 1974 which resulted in the deaths of 33 people. The relatives of those killed claimed that the Royal Ulster Constabulary (RUC) had hampered the investigations of the Garda Síochána (the Irish police) . The Northern Ireland Office (NIO) estimated that the disturbances surrounding the Drumcree parade had resulted in damage to property of £3 million. There was a demonstration in London as part of the campaign to secure the release of two Scots Guardsmen who had been sentenced for the murder of Peter McBride (18), a Catholic civilian, in Belfast on 4 September 1992. 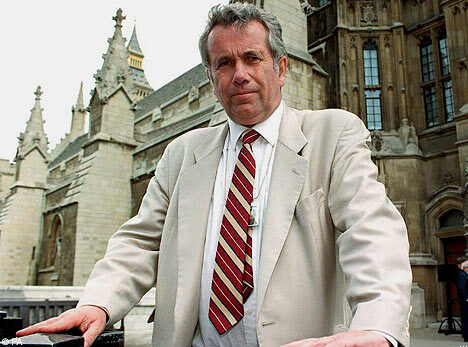 Among those taking part in the demonstration were Martin Bell, then Member of Parliament (MP), and Lord Tebbit, former Conservative Party cabinet member. The owners of The Belfast Telegraph (a Belfast based newspaper), Trinity Holdings, were informed by Stephen Byers, then Trade and Industry Minister, that the group’s planned acquisition of Mirror Group Newspapers (MGN) would not be allowed to proceed as it would mean two of Belfast’s three daily newspapers would then be under single control. Off duty. Found shot, Kerrera Street, Ardoyne, Belfast. Killed by: Irish Republican Army (IRA) Killed when car bomb exploded while evacuating area, Bridge Street, Garvagh, County Derry. Inadequate warning given. Killed by: Irish Republican Army (IRA) Killed together with his wife and son in land mine attack on his Shogun jeep, Killeen, County Armagh. Mistaken for vehicle carrying Judge Higgins. Killed by: Irish Republican Army (IRA) Killed together with her husband and son in land mine attack while travelling in Shogun jeep, Killeen, County Armagh. Mistaken for vehicle carrying Judge Higgins. Killed by: Irish Republican Army (IRA) Killed together with his parents in land mine attack while travelling in Shogun jeep, Killeen, County Armagh. Mistaken for vehicle carrying Judge Higgins. Killed by: non-specific Loyalist group (LOY) Shot at his home, Fallswater Street, Falls, Belfast.